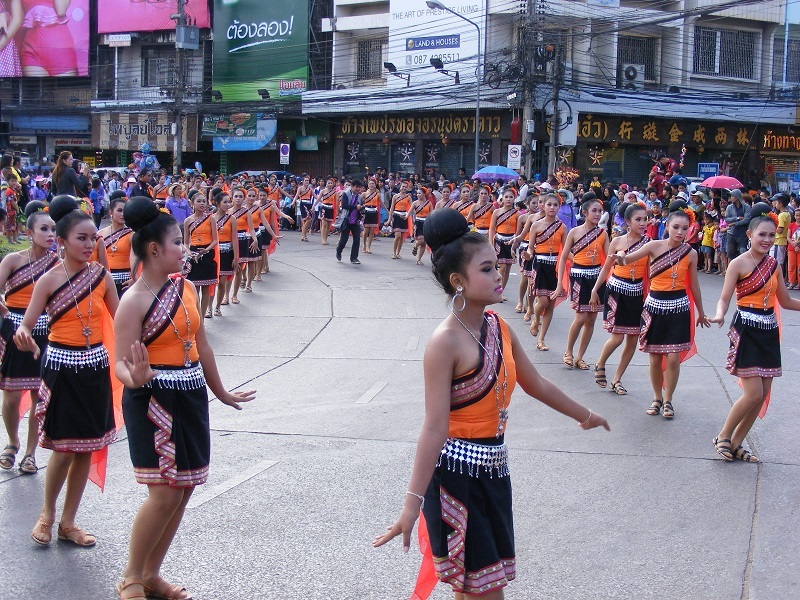 In addition to the sightseeing and nightlife in Udon Thani, festivals play a major spiritual role throughout the year. Many of these festivals are small affairs, there are three quite significant festivals come celebrations that make for an ideal time to plan a visit to the city. There are festivals pretty much throughout the year across the whole of Thailand, and Udon Thani in no exception. Unless you are really 'in-the-know', or live in the heart of a small village, most of these festivals will probably pass you by totally unnoticed. In truth, as an ex-pat, you are not likely to be missing a great deal, but the three main festivals below are worthwhile, especially Songkran and the Kings Birthday parade. The most popular, and certainly the festival which provides the most fun is that of Songkran, which takes place every year in the middle of April. 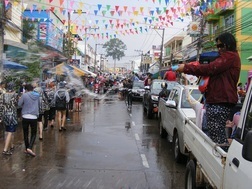 The festival celebrates the Thai New Year and is hoped to bring luck for the coming rains across the region and country, by having a massive water fight in the streets. 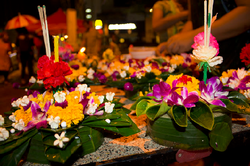 The next major festival celebrated in Udon Thani is called the Loy Krathong Festival. A much quieter affair, every November, where the local Thai community visit one (or more) of the reservoirs in the city, and cast out their sins and hope for better luck by placing their Loy Krathong on the waters surface. The Tung Sri Muang Festival Is One Of The Biggest Annual Festivals In Udon Thani And One The Most Important Ones Too, For The Thai People At Least. The Festival Starts On The 1st December Every Year And Runs For Between 12 & 15 Days. The Kings Birthday in Thailand is a national celebration, and Udon Thani is typical of many large towns and cities in featuring at least one parade through the city centre. This takes place on 5th December every year and is a highly colourful event.